What is the secret to delicious Blueberry White Balsamic. 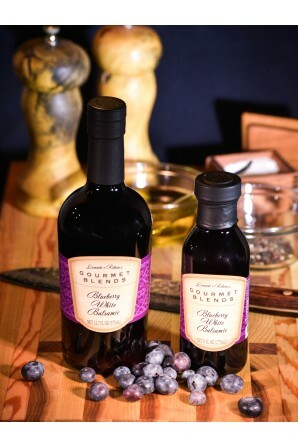 Fresh blueberries and our wonderfully aged white balsamic vinegar are combined perfectly to accompany fresh fruit or for drizzling over ice cream for the perfect end of a great meal. 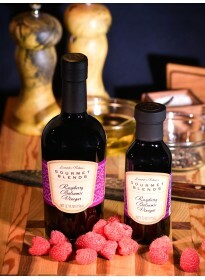 Combine with our Raspberry Balsamic Vinegar for an extraordinary, one of a kind ice cream topping. 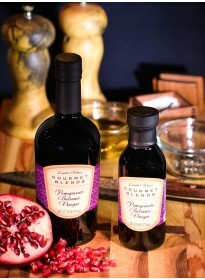 Ingredients: White Balsamic Vinegar (4.5% acidity), blueberry fruit juice from concentrate, natural flavor. Our Blueberry White Balsamic is Gluten and Fat Free. This product is made in a facility that also processes nuts, oils, soy and dairy. 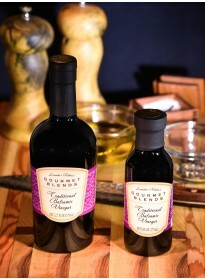 *As our balsamic ages, it gets richer and sweeter and loses its acidity. Percent Daily Values are based on a 2,000 calorie diet.